It's that time of year again - the next session of the Drupal Career Online program is about to get underway. Interested in learning Drupal best practices, common development shop workflows, as well as a bunch of the tools that modern Drupal professionals use every day? Looking to expand your current development team but don't have the time or the resources to train existing or new staff? If so, the Drupal Career Online program was designed with your needs in mind! This will be the seventh time we've taught our curriculum, and the ninth time overall that is has been used for long-form Drupal training (Acquia has used it for their Acquia U program). We're confident that it provides students with the knowledge and experience to compress the amount of time it takes to become a Drupal professional. In just a few short weeks, the latest class of DrupalEasy career training students will complete their course work and will be ready for an opportunity to prove themselves through internships, entry- or junior-level Drupal development positions! If your organization is looking to build its talent pipeline, this is your opportunity to bring on a highly-trained individual with the passion and desire for building Drupal sites. We’ve set up a program to match graduate skills with potential employer needs with our Work Experience (WE) Drupal program, and it is once again open for new host applicants. WE Drupal hosts are under no obligation by applying - we're just looking for some information on what type of person you're looking for (developer, site-builder, front-end, QA, PM, etc…) and an idea of the types of projects you have in mind for the graduate. We'll share all of the student profiles with you, and share your information with our students. DrupalEasy is so excited to announce that we are teaming up with Stetson University to present the first comprehensive, university-based Drupal career professional development program in Florida! The Drupal Career Certificate Program (DCCP), which is built on DrupalEasy’s Drupal Career Starter Program curriculum, marks an official entrance to the Drupal talent pipeline through the US higher education system. The DCCP, now part of the university’s Boundless Learning programs, will be officially announced at Florida DrupalCamp 2015! The first course will kick off this Fall at the Stetson Celebration Center located right in the middle of Florida's High Tech corridor on the outskirts of Orlando. Calling this book a "second edition" is more than a little bit curious, since there is no Drush for Developers (First Edition). I can only assume that the publisher considers Juampy's excellent Drush User's Guide (reviewed here) as the "first edition" of Drush for Developers (Second Edition), but that really minimzes ths book, as it is so much more than an updated version of Drush User's Guide. It would be like saying The Godfather, Part 2 is an updated version of The Godfather - which is just crazy talk. Drush Developer's Guide is more of a sequel - and (like The Godfather, Part 2) a darn good one at that. 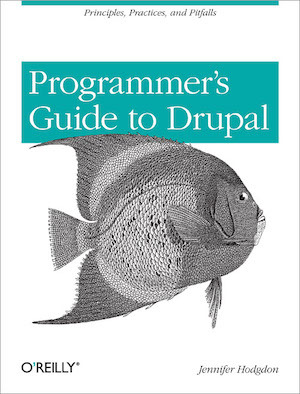 O'Reilly's Programmer's Guide to Drupal, written by Jennifer Hodgdon is a solid book for Drupal developers of all skill levels. I'd argue that it is one of the better books for PHP developers wanting to learn more about Drupal. 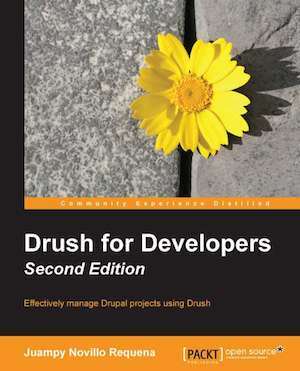 It provides a wealth of solid information on a nice array of topics that professional Drupal developers should know. It's not a long read (less than 100 pages of actual content), but the structure and variety of topics covered makes it a great reference for best practices and intermediate to advanced "what's the best way to do this?" topics in Drupal development. 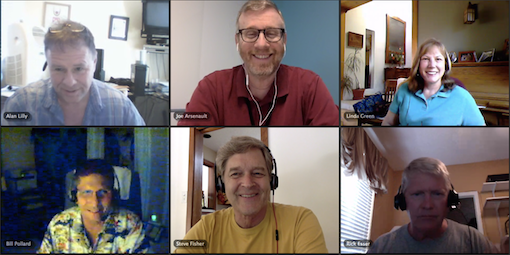 There are a lot of ways to train people to become Drupal site-builders, developers, and themers: books, blog posts, screencasts, 1-day trainings, and mentors - just to name a few. 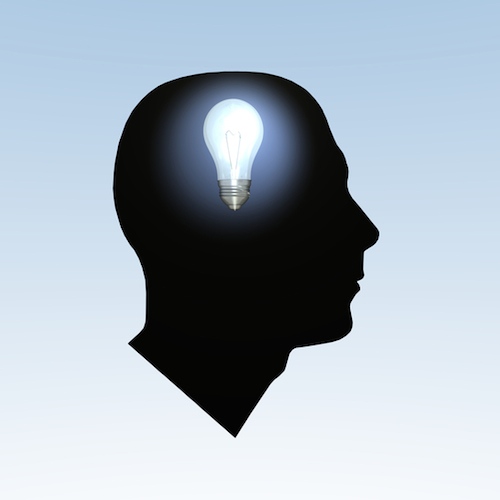 Drupal Career Online is different; we provide more than just one learning vector into our students brains. Our live, online, Drupal training program provides an expert instructor, professional tried-and-true curriculum, a full library of screencasts supporting the curriculum, and access to dedicated community mentors. Furthermore, this isn't bootcamp-style training; Drupal Career Online is a sanely-paced 12-week program that meets just 3 times per week. The goal of the Drupal Career Online program is simple: to create talented, well-rounded, community-minded Drupal site-builders, developers, and themers with a real-world knowledge of Drupal and the various satellite technologies that Drupal professionals use every day. Our next session starts on March 24. For the sixth year in a row, Central Florida will host the Sunshine State's largest gathering of Drupalists for two full days of learning, networking, and sharing at Florida DrupalCamp 2015. To be held Saturday and Sunday, April 11-12, 2015 at Florida Technical College in Orlando, approximately 300 people will gather for a full day of sessions and a full day of community contributions. Attendees will be provided with knowledge, food, and clothing - and maybe a surprise or two as well! Having just completed presenting the Drupal career training portion of AcquiaU, we are anticipating great experiences for all ten students as they begin their eight weeks of rotations within three different business groups within Acquia. The past two months have been a whirlwind of teaching, learning and team building, which provided great insight into a forward-thinking approach to building Drupal talent, made possible by the commitment of Acquia. We are pleased to have contributed to the new AcquiaU with the customization of our Drupal Career Online curriculum. 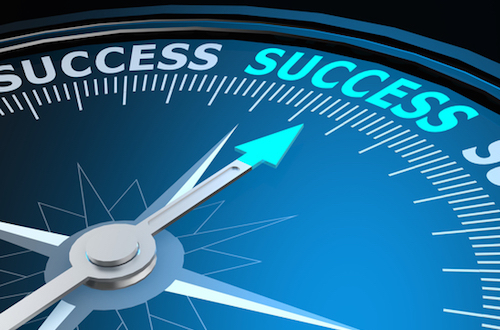 I’d like to share some great lessons learned, as well as introduce the ten people who were lucky enough (luck favors the prepared) to be selected for this amazing program. Since we have ramped up our training business over the past months, I've been teaching a lot of Drupal to a lot of different types of people with various backgrounds, goals and motivations. As diverse as they may be, from private client training engagements for some of the largest Drupal shops to our own 12-week Drupal Career Online to now providing the technical curriculum for Acquia U, one training element that spans audiences and is continually driven home is the importance of being nimble. Twelve weeks after it began, the first online class of Drupal Career Online (DCO) graduated yesterday, launching six new Drupalists on their way to a new career. With this class, DrupalEasy has now graduated 71 participants from Drupal Career online and in-person programs. Our graduates were taught the fundamentals of Drupal site-building, Git, introductions to module and theme development, site maintenance, distributions, and much more. Along they way, students were required to use the same communication tools as the rest of the community (including IRC), were provided with a community mentor, and were encouraged (pestered?!) to get involved in their local communities. Migrating from major version to major version of Drupal core has always been a significantly large task for all but the simplest sites. The upgrade path that has traditionally been part of Drupal core has always been limited in what it can do, so most sites were forced to use alternative methods to migrate configuration and content. Sometimes these migrations were manual, sometimes automated, and most often a combination of the two. This blog post aims to provide an overview of how the migration system in Drupal 8 works, our current progress, and how new contributors can get involved. 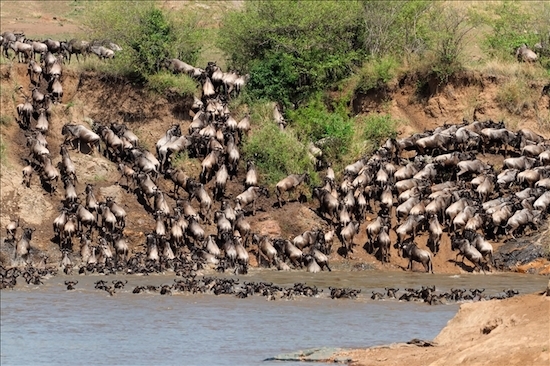 The Migrate in Core initiative began in earnest about a year ago at DrupalCon Prague, when it was decided to use some code and concepts from the Migrate and Drupal-to-Drupal Data Migration modules as a starting point for a new and improved upgrade path. At the current time, the Drupal 6 to Drupal 8 migration is almost complete, while the Drupal 7 to Drupal 8 migration is just getting started. There are a few blocking issues that we're trying to get past in the next couple of weeks (including files migration and link field migration). We feel that we'll be able to leverage much of the work we've done on the Drupal 6 to Drupal 8 migration for the Drupal 7 to Drupal 8 migration. In fact, we have a great issue for a new contributor to help us kick of the Drupal 7 work just waiting for someone to tackle. Have you always wanted to get involved with Drupal core development but don’t know where to begin? Have a Drupal 6 site that you’re looking to upgrade to Drupal 8? The Drupal 8 Migrate in Core initiative aims to provide a robust and extensible migration path from Drupal 6 and Drupal 7 to Drupal 8. A lot of work has already been done, but we’re looking to increase our throughput by training up some testers and developers to contribute to the cause. To that end, we’ve planned two in-person events and an ongoing virtual event where you can get some facetime with other contributors to get you up-to-speed on the current progress and how you can help. Development experience isn’t required! It takes all types of contributors to complete a project of this scope. We have opportunities for manual testing, documentation writing, UX, theming, patch testing, and patch creating. If you need more of a challenge, I’m sure that chx, benjy, and mikeryan can find something for you to sink your teeth into! If you can’t wait to get started, please check out how you can properly configure your system in order to contribute. 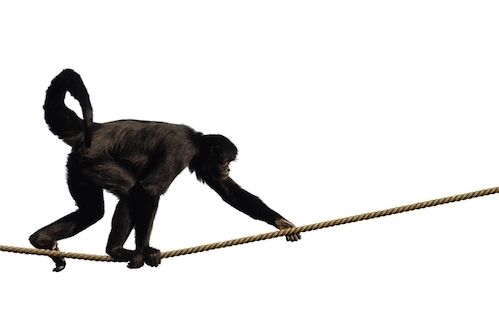 Even if you just want to do some manual testing, you’ll want to check this out. Once your system is ready to go, then find me in IRC (#drupal-migrate) or find us at an upcoming event. Since we started our long-form Drupal Career Starter Program in 2011, we've always struggled a bit trying to find a single local Apache-MySql-PHP stack that is powerful enough for day-to-day Drupal development, easy to set up, and that works for a wide range of people new to local web development. We're always on the lookout for a local Drupal development stack that will help to reinforce the lessons and best practices that we strive to instill in all of our students. It's pointless to teach students methods and processes that aren't typically found in the community, so being able to bring students up-to-speed as quickly as possible with things like Drush, Git, and commonly-used workflows is of the utmost importance. Generally, we've stuck with a combination of Acquia Dev Desktop (version 1), Uniform Server, and DrupalPro, depending on each student's skill level and previous experience. Until recently, we've always had more Windows users than Mac or Linux users (combined! ), and usually didn't run into any problems until we introduced Drush, Git, and other Linux-y command line tools, at which point Mac and Linux users spent a lot of time attempting to help Windows users get Drush installed. When Acquia Dev Desktop 2 was made available, the list of features definitely piqued our interest. Integration with Acquia Cloud is nice (similar to what Kalabox does for Pantheon), but what we were really excited about was the Drush integration. 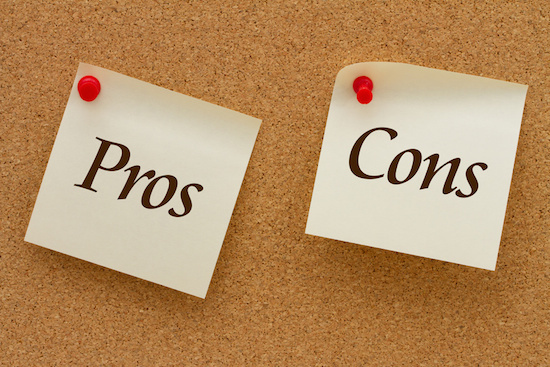 Since we are using Acquia Dev Desktop 2 for the first time with our 2014 Fall Drupal Career Online program, we thought it would make sense to run through the pros and cons from a training perspective. What do you get when you combine a state-of-the-art open source content management system with a seemingly endless need for developers, an instructor passionate about developing Drupal talent with solid fundamentals and best practices (yours truly), six eager, geographically diverse students (pictured above - more on them in future blog posts), and a modern online classroom environment (the topic of this post)? If the content management system is Drupal, then the only answer is the online version of the Drupal Career Starter Program: Drupal Career Online. This week marks the start of the first session of Drupal Career Online, an immersive 12-week online training program designed to take people passionate about technology and turn them into Drupal professionals. The curriculum is the result of continuous development and improvement over the past three years, and now features a dedicated web site, PDF handouts and reference documents for every lesson, weekly self-assessment quizzes, screencasts covering important concepts and a healthy dose of Drupal community involvement.